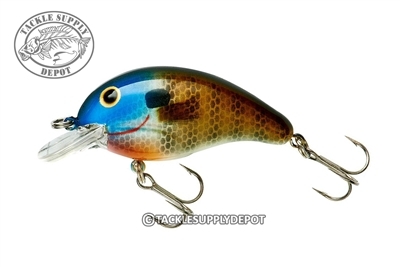 Bandit 100 crankbaits may be the best over-all crankbait for multiple species that you can have in your box. The 100 dives to almost 6 feet. This diving depth combined with the baits top-quality construction and wide array of color choices, make the 100 an all-time classic fishing lure. The rounded diving lip ensures the Bandit 100 runs true every time and provides that famous fish-hunting action. Highly effective on bass, walleyes, crappies and other gamefish.